The Boeing Dreamliner Gallery will be displaying Composites Innovation Centre’s bio tractor hood to showcase how natural fibres can be used in composites. 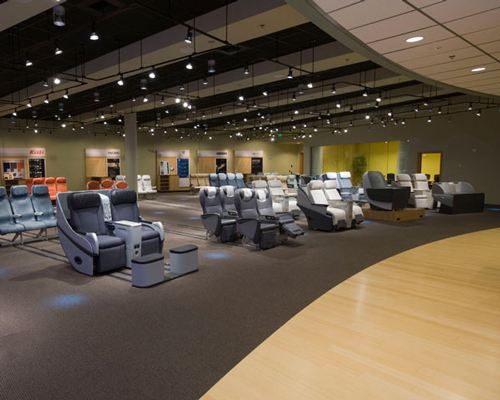 The Gallery is a place where global airline customers see all of the options for creating the interior of their own Dreamliner aircraft, including architecture designs, seat selection, and materials. 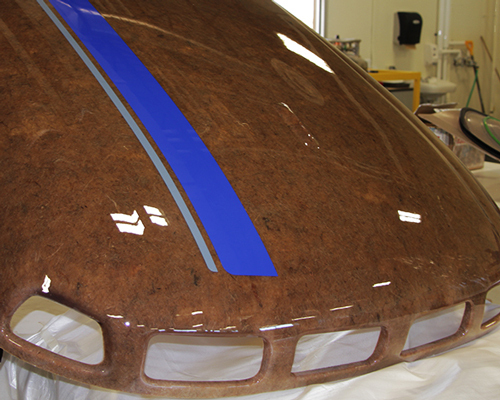 This display of the flax tractor hood will showcase the technology advancements that have been made with using natural fibres in composites and how those materials can potentially be used for applications on future aircraft. Boeing is looking towards the future and at the possibilities of using natural fibres for various applications in their airplanes, such as for interiors and other lightly loaded parts. With the push for environmentally sound “green aviation,” using renewable and recyclable natural fibres is a compelling option. Displaying the flax tractor hood demonstrates the potential of natural fibres and gets the CIC and the innovative work that its employees are doing together with Manitoba’s supply chain from the farmer to the manufacturer in front of a global audience. Sande Curling Innovations, an organization based in Winnipeg dedicated to generating ideas and discussion about the sport of curling, approached the CIC to bring their idea of a better broom design that would allow a curler to apply constant pressure throughout their sweeping motion to fruition. The CIC worked with Sande Curling Innovations and Asham Curling Supplies, an international curling product manufacturer and distributor, to design, prototype, test, and oversee the material selection and production of the Sande Curling Broom. Sande Curling Innovations, after completing testing with a sensor broom mimicking today’s technology, discovered that a curler, when sweeping a rock down the ice, exerts more pressure on the broom when they push forward compared to when they pull back. As a result, the sweeping motion is uneven leading to less control over the speed and direction of the rock. CIC worked closely with Sande Curling Innovations to create a double-handled broom design that is more ergonomic, helping the player to maintain constant pressure throughout the sweeping motion, giving them more control of the rock, allowing them to exert less energy when sweeping, and reducing the risk of injury to their wrists, elbows, and shoulders. Working with Asham Curling Supplies, the CIC tested various materials that led to the decision to manufacture the handles out of fibreglass-reinforced thermoplastic. This material is cost-effective and provides the comfort as well as the strength needed to withstand the pressure applied during use. 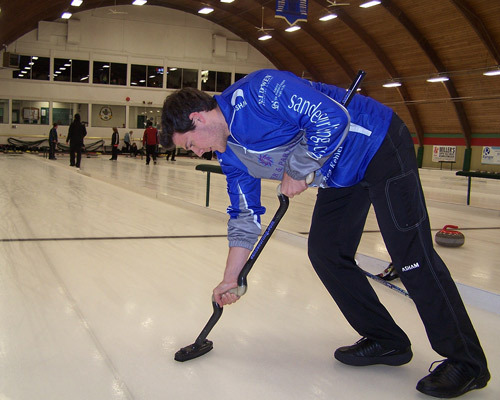 The broom has been tested with various levels of curlers, including elite teams, and has received a positive response. 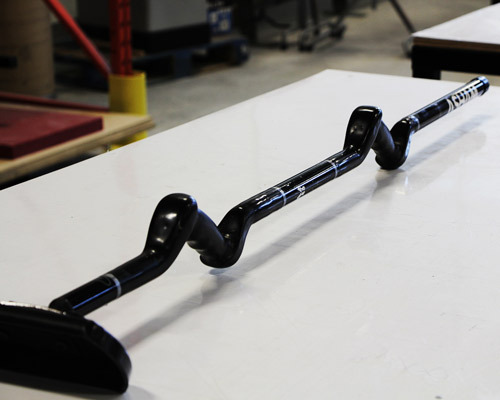 The Sande Curling Broom is intended to hit shelves in the fall of 2014.